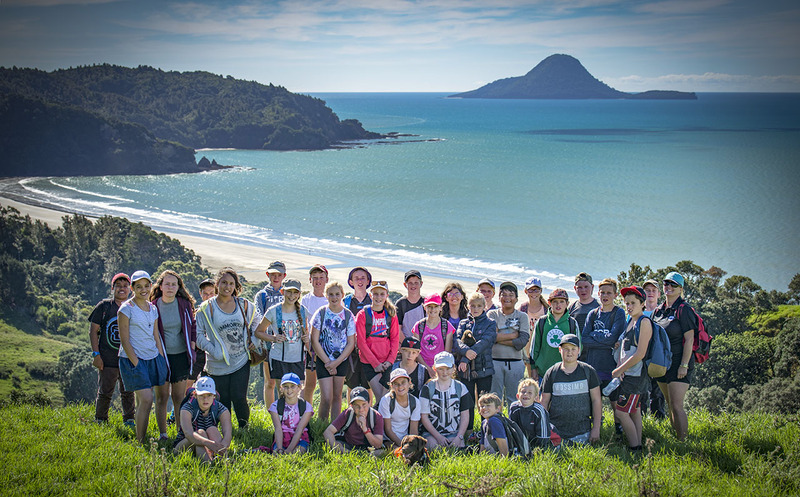 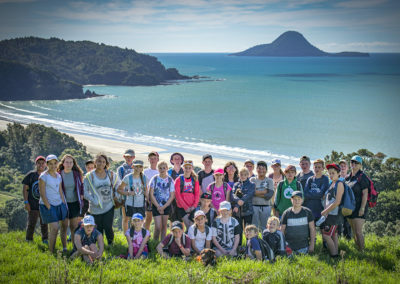 The Education Resource package ‘Kiwi – Whakatāne‘ (PDF, 8MB) was intended to be used by local teachers to help school children learn about their environment, the unique features of New Zealand and how all Kiwis have a responsibility to protect our special place in the world. 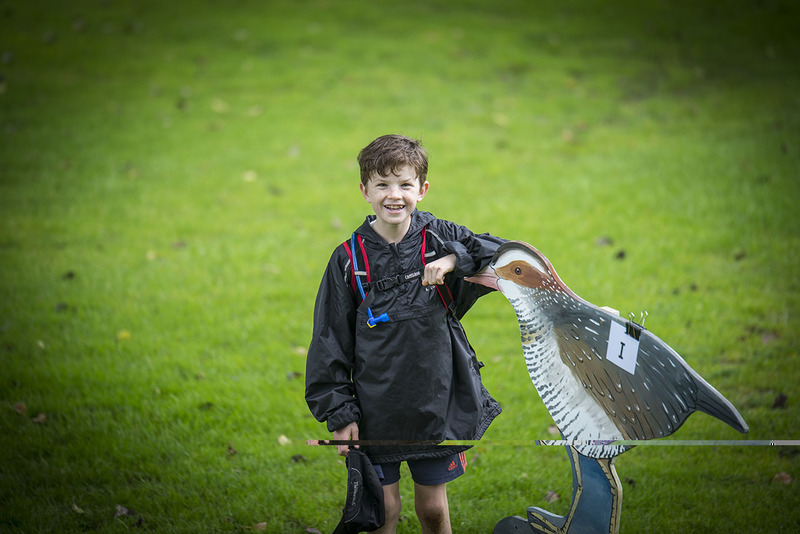 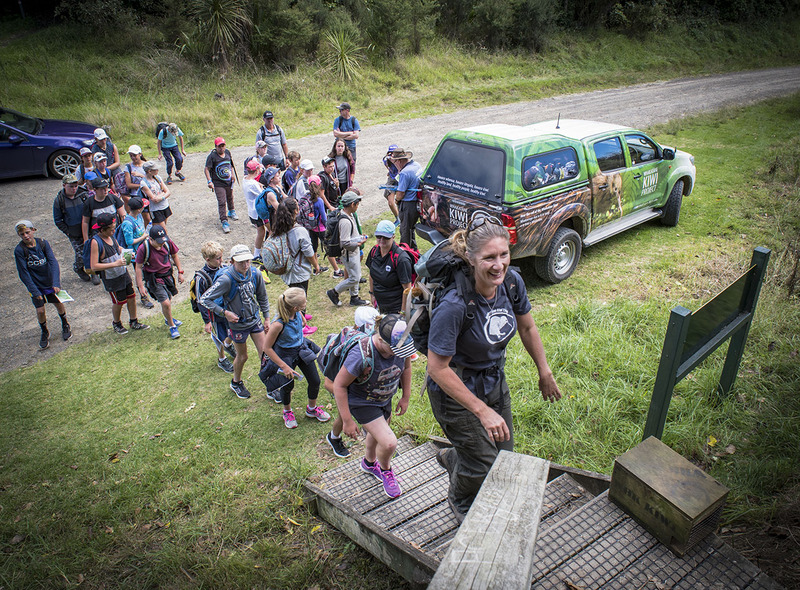 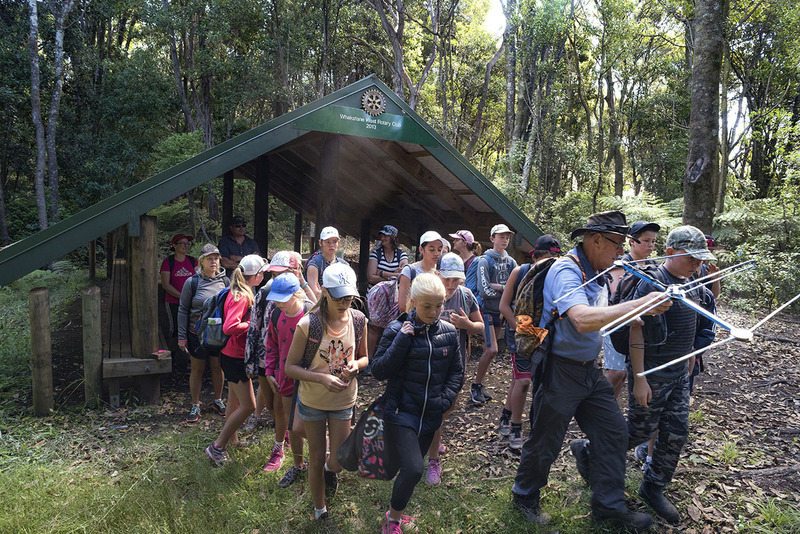 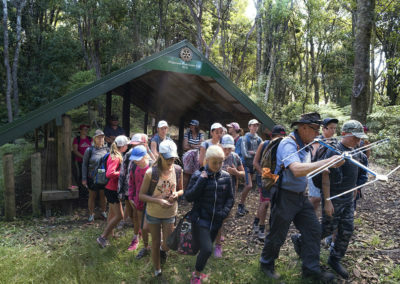 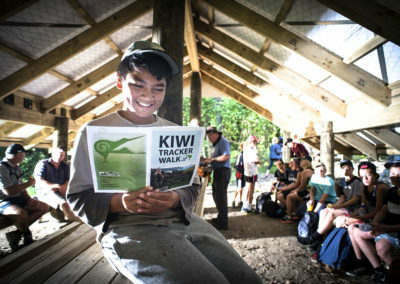 However, as word got out interest from schools as far afield as Auckland and Lower Hutt have come to Whakatāne to undertaken the Kiwi Tracker walk! 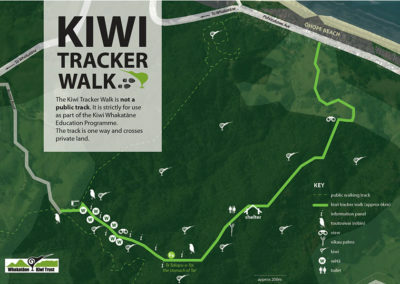 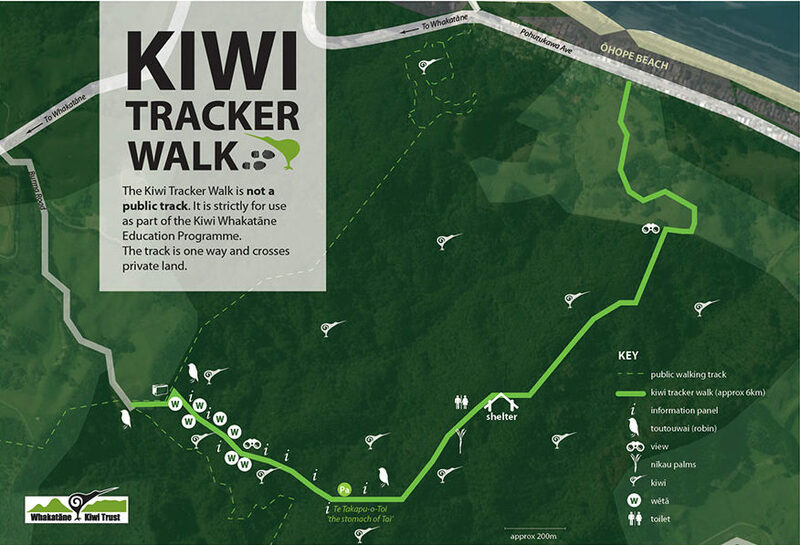 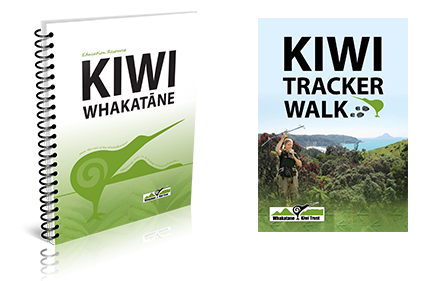 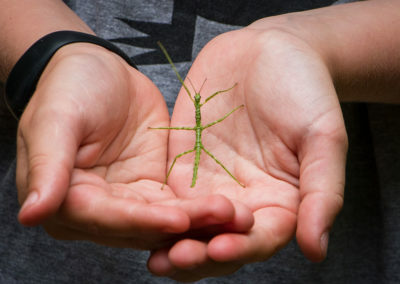 Kiwi Tracker is a programme unique to Whakatāne and designed to be used in conjunction with the Whakatāne Kiwi Trust education resource. 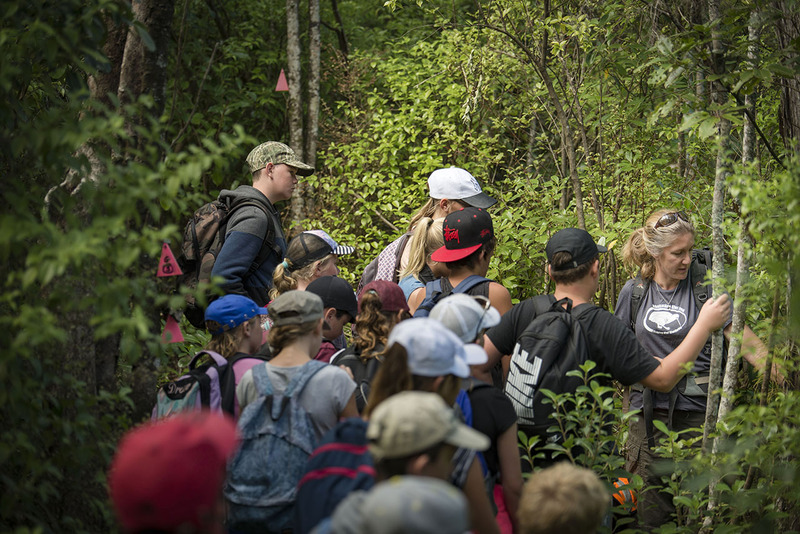 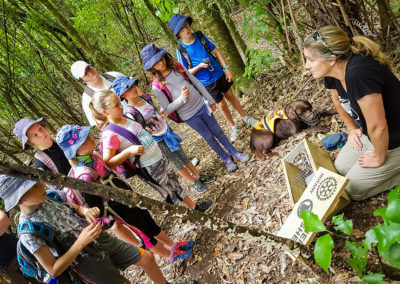 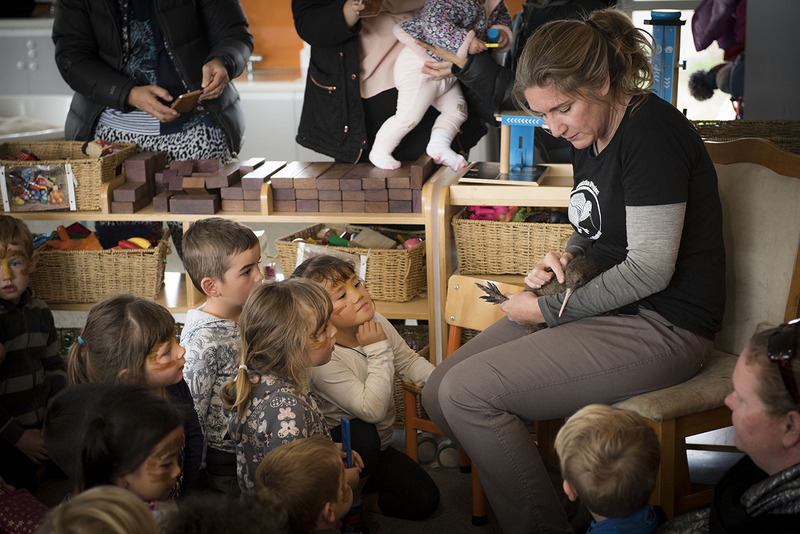 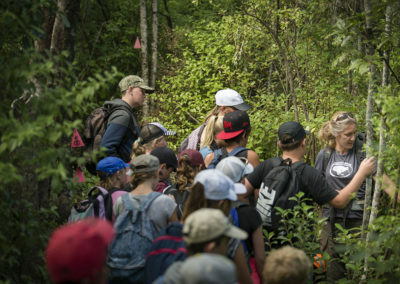 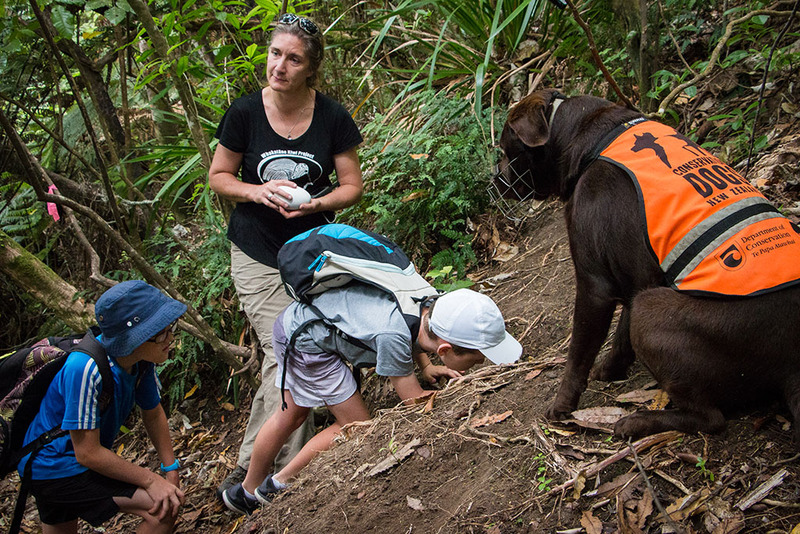 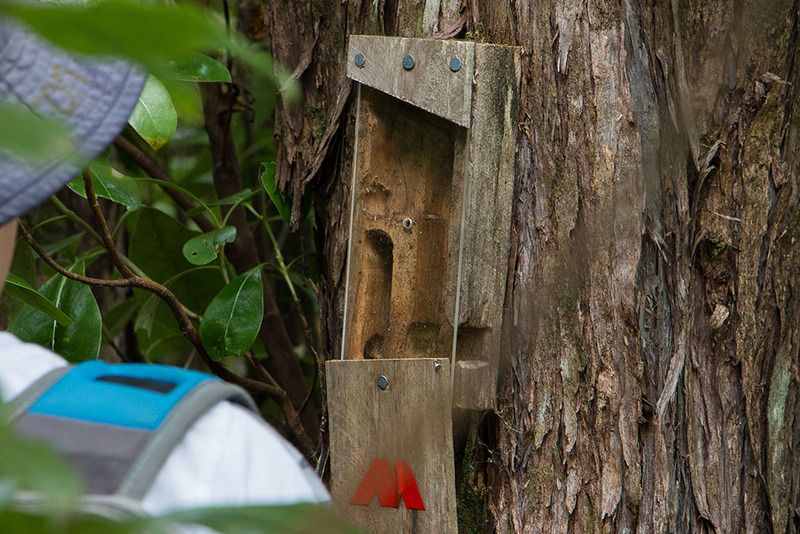 Following theory-based learning to get to know about kiwi, their habitat and protecting the endangered bird, students are able to experience the reality of bush life. 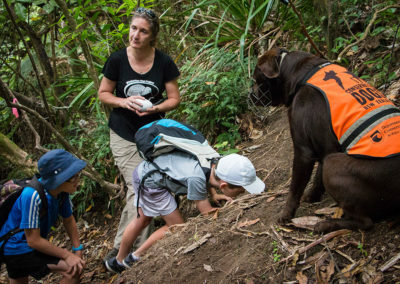 Seeing dead stoats caught in traps, touching kiwi egg shells, feathers and burrows and walking the tracks used by Whakatāne Kiwi Project volunteers are all part of the deal. 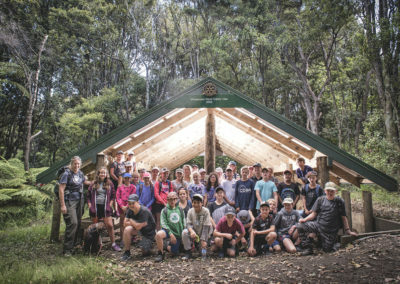 Generous funding from Whakatāne West Rotary has provided for the erection of a distinctive whare (shelter) in the Ōhope Scenic Reserve. 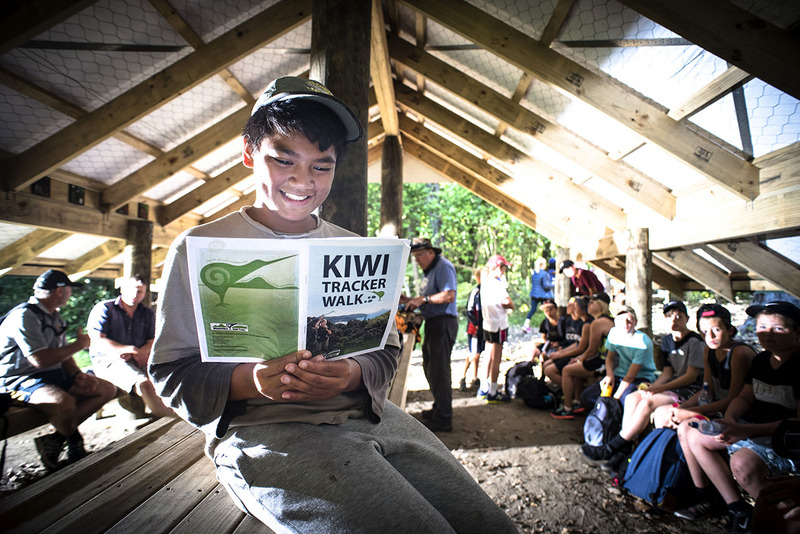 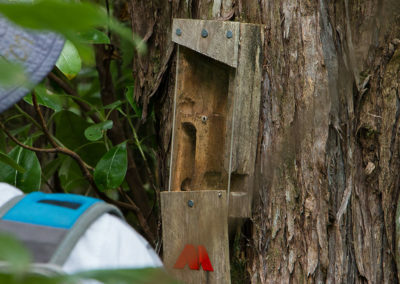 The whare is designed to be used in conjunction with the Kiwi Tracker programme, offering students the opportunity to sit down and take a break while on their expedition. 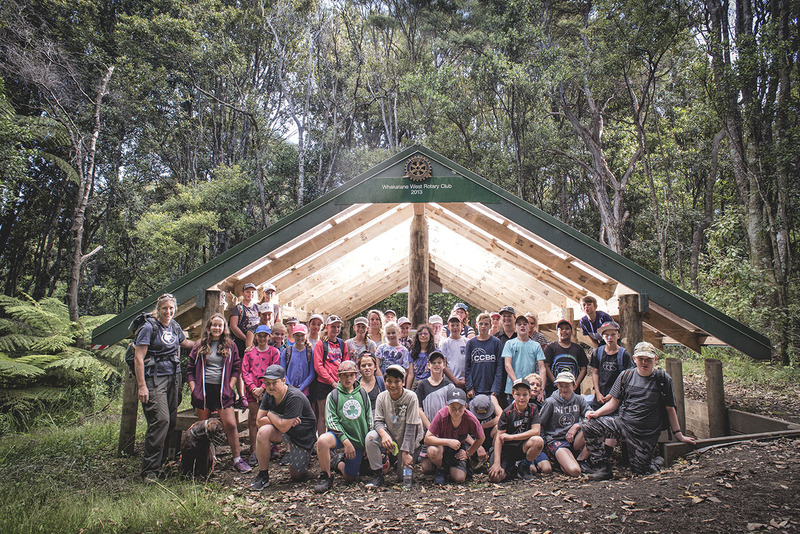 The shelter is not a public facility: it’s a special place for our young people. Thank you for teaching me about kiwis natural enemies, predators and friends. 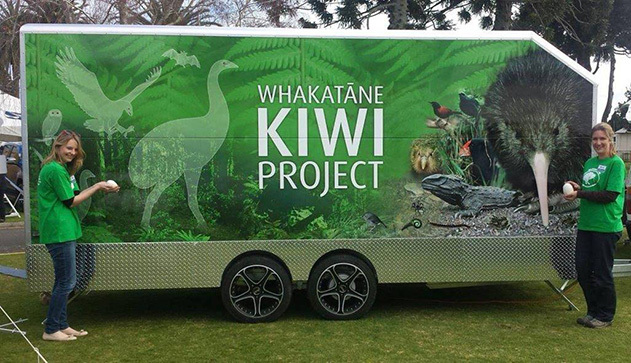 Thank you for bringing the Kiwi Trailer and the kiwi statues and weasel statues too. 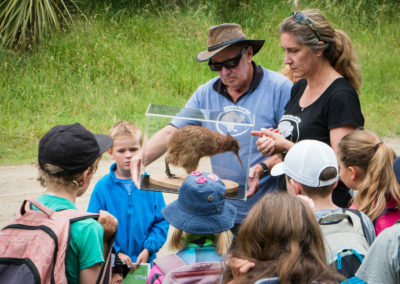 Oh and a ferret statue as well.